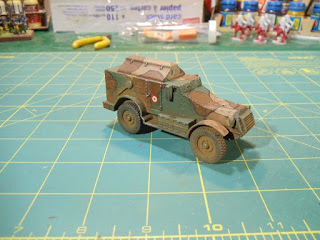 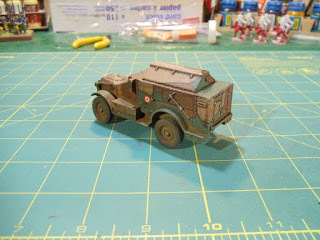 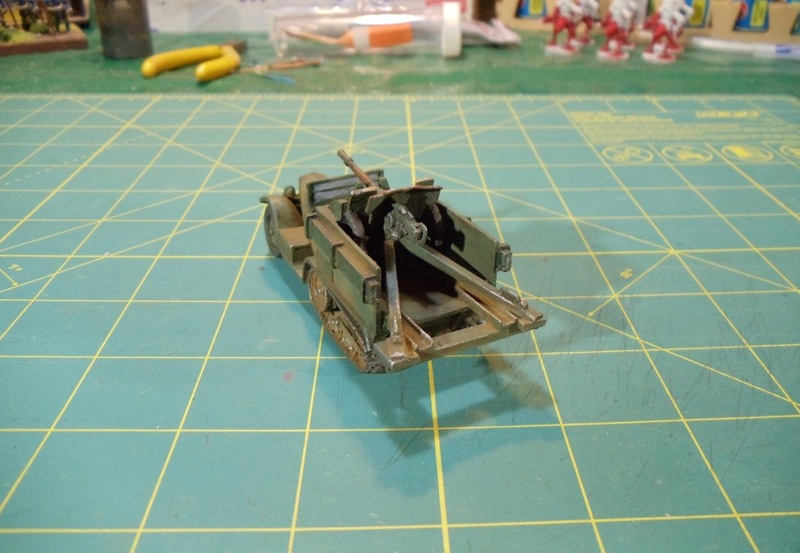 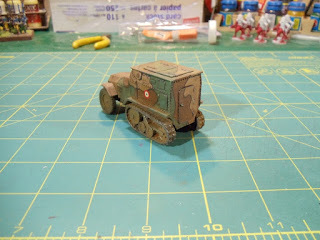 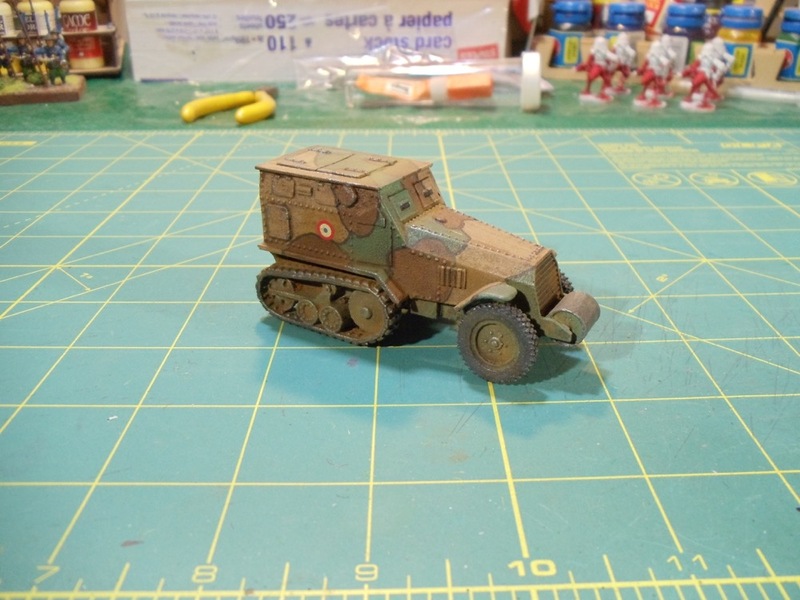 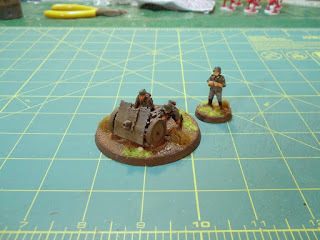 Just the other day I finished up a number of French early-war vehicles. 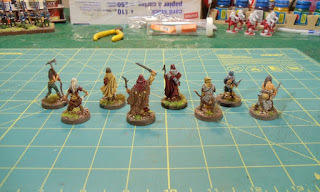 These are from a Kickstarter that Mad Bob Miniatures ran last year. 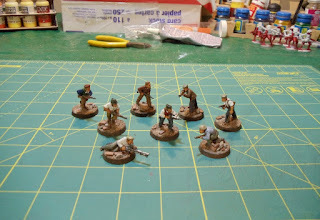 The figures are all resin, but it's not the usual resin I'm used to dealing with. It's like a 3d-printed plastic. I'm not really a big fan of the material, I prefer conventual resin. 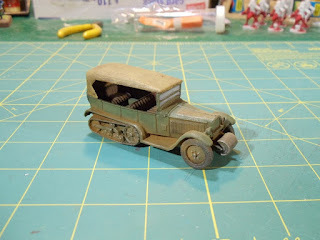 First up is a Citroen Kegresse P19 staff car. 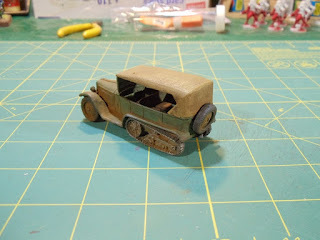 Next up is a Citroen Kegresse P19 25mm Portee. 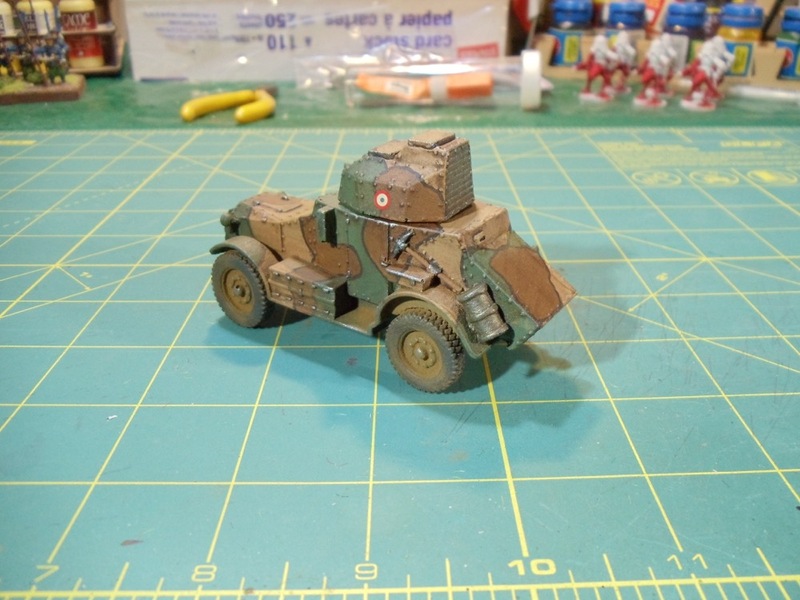 Next is a Citroen Kegresse P104 armoured transport. Next is a Somua MCG artillery tractor/troop transport. This vehicle is kind of big compared to all the others, which is odd. 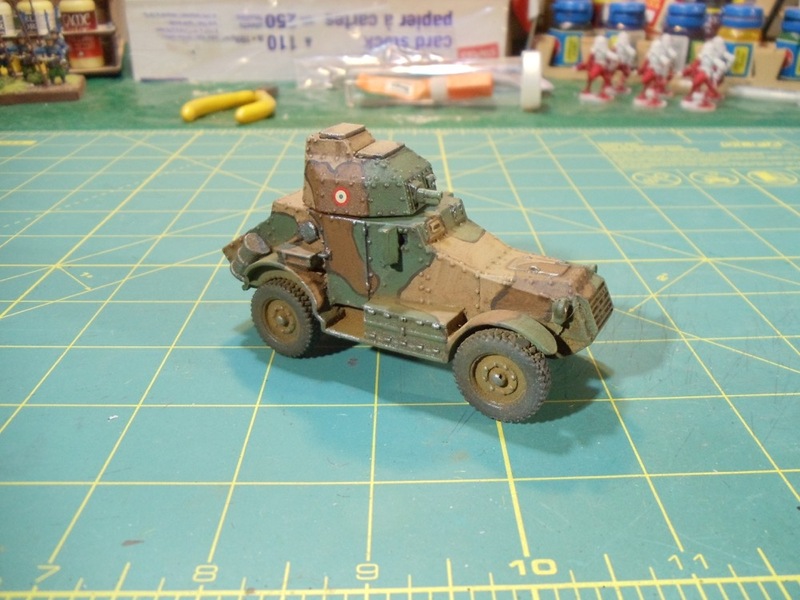 Next up is a Panhard 179 armoured scout/transport. 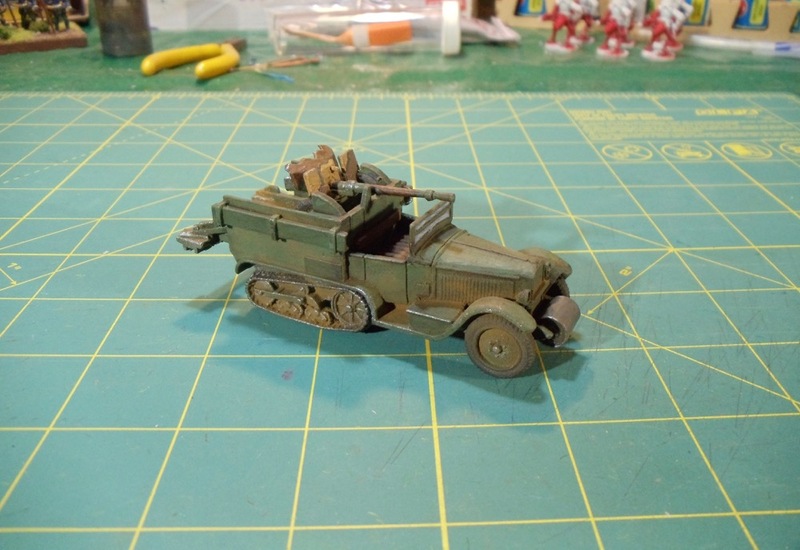 And finally this is a Panhard 165/175 armoured car. 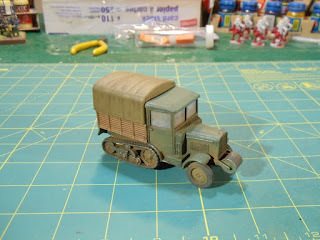 This is my favourite vehicle of the lot. I'm kind of a sucker for the Panhard armoured cars. 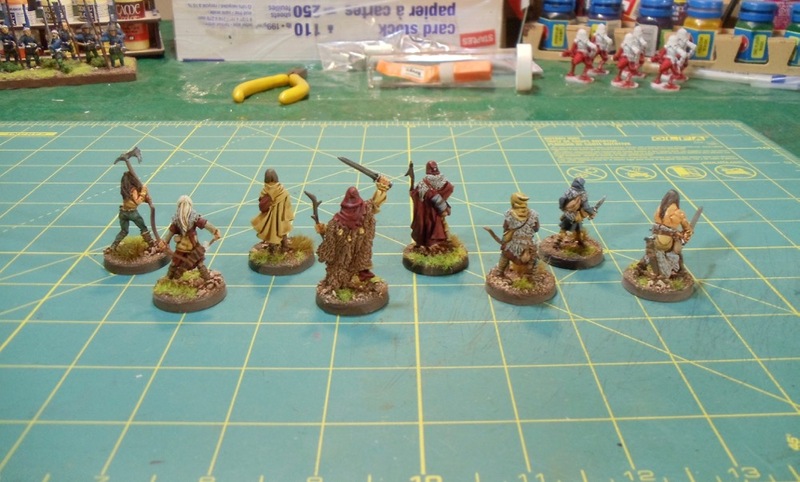 Also this week, I completed a number of fantasy adventurers that will be used for Frostgrave. 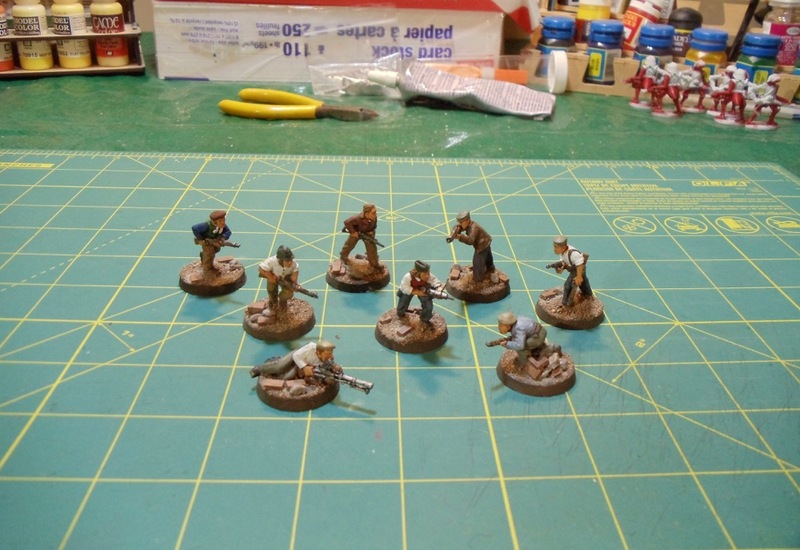 These figures are all metal and are from a Kickstarter run by Red Box Miniatures last year. 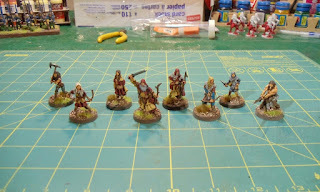 Next up on my paint table is some more early-war Germans and probably some more figures for Frostgrave. 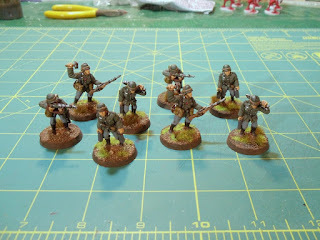 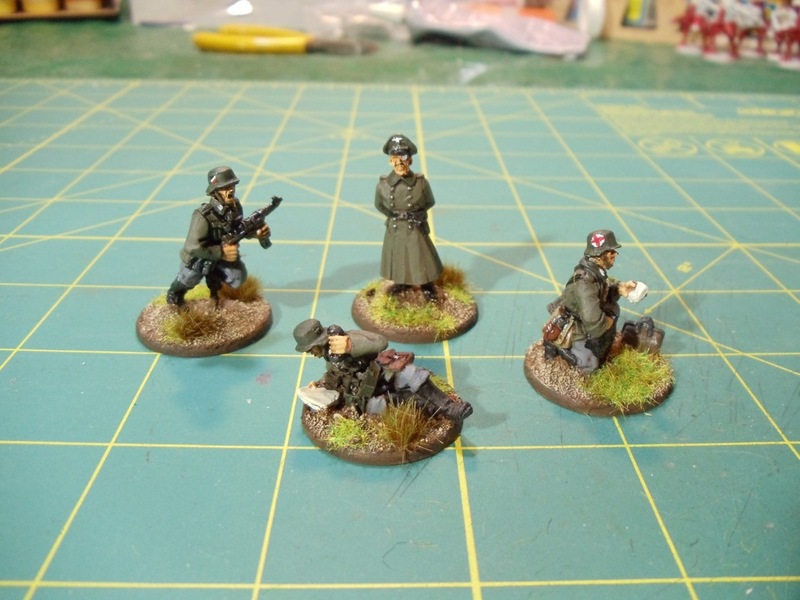 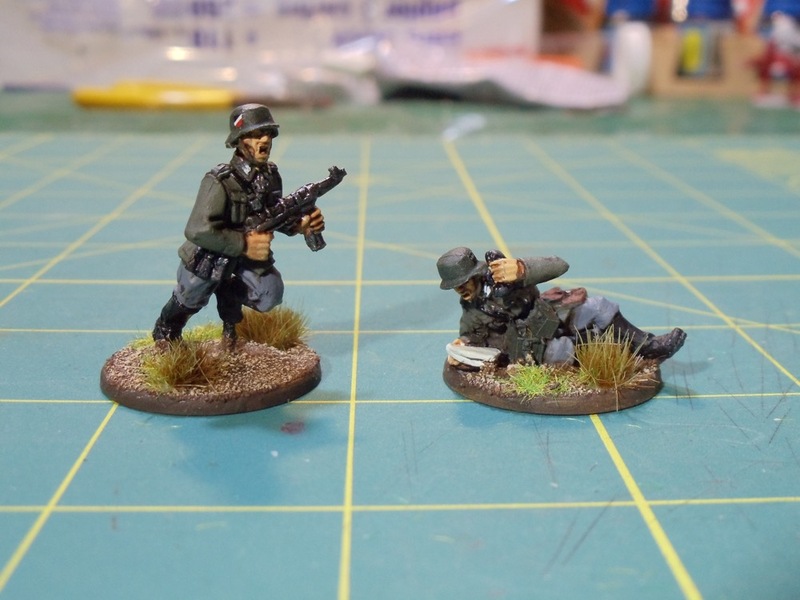 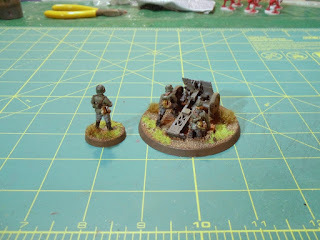 This week I've finished another small group of early-war Germans. First up is a set of metal German engineers from Black Tree Design. 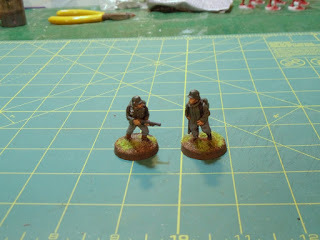 The next pair of figures are a pair of metal Flamethrower troops, also from Black Tree Design. And to round out my Germans is a 75mm light artillery piece from Warlord Games. 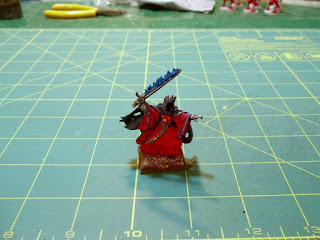 And lastly is a Wraith King from Reaper Miniatures. 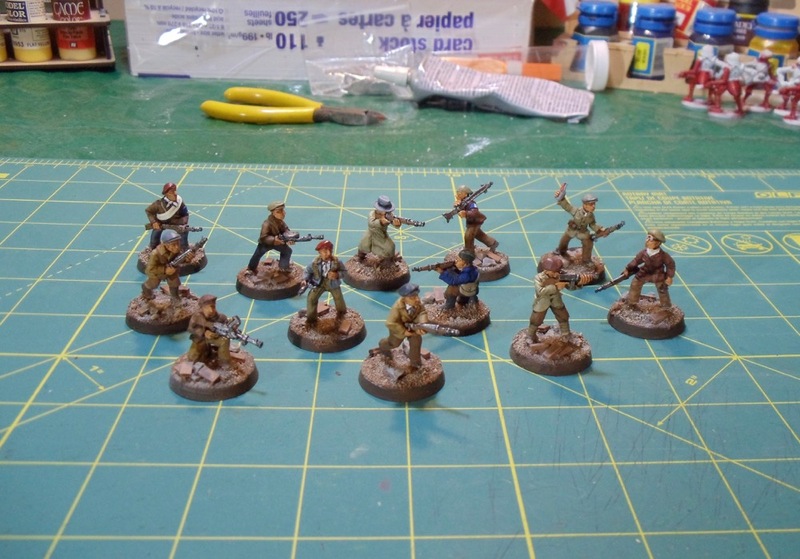 Next up on my paint table is a bunch more adventurers for Frostgrave and probably some French vehicles. French Partisans, Early War Germans and Ooze! 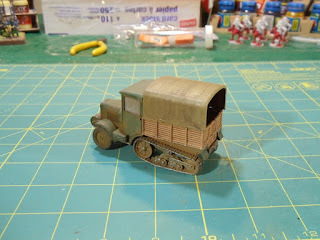 Monday saw me finishing off a few different things. First up is two sets of World War 2 partisans. First set are metal figures from Warlord Games. 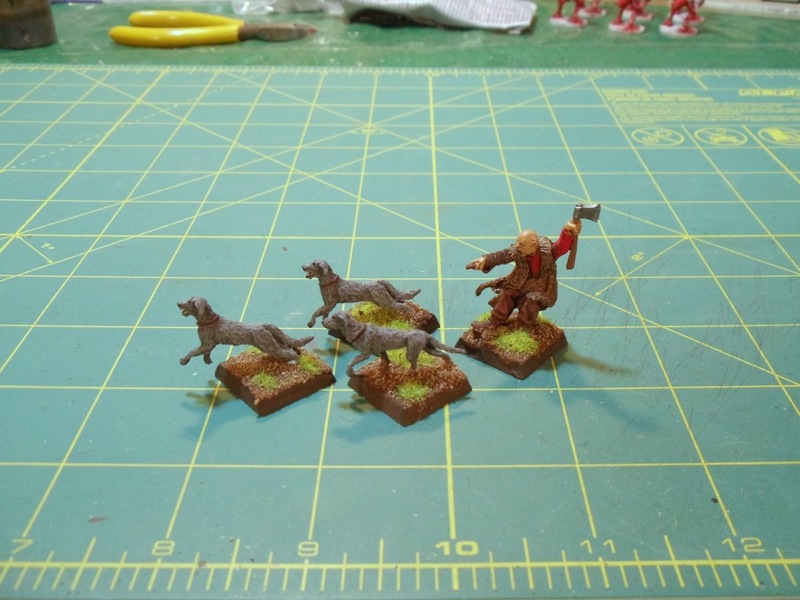 Next group is a set of metal figures from Wargames Foundry. 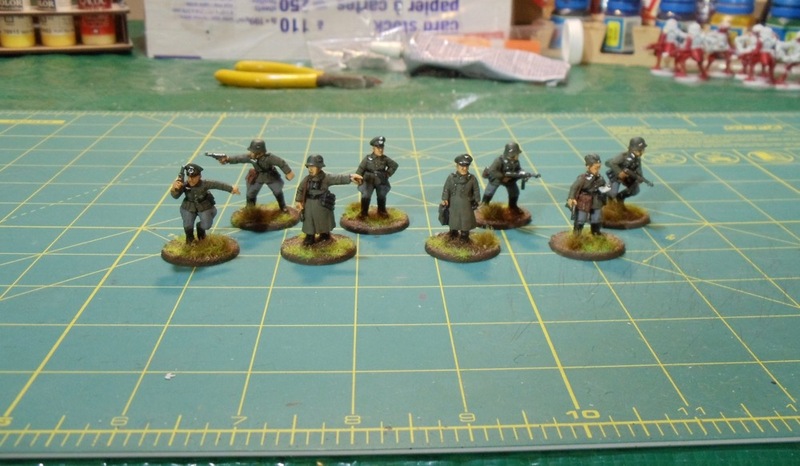 I've also started on my early-war Germans. 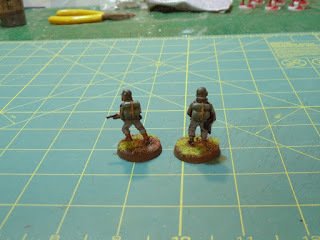 First up is a set of metal command figures from Warlord Games. 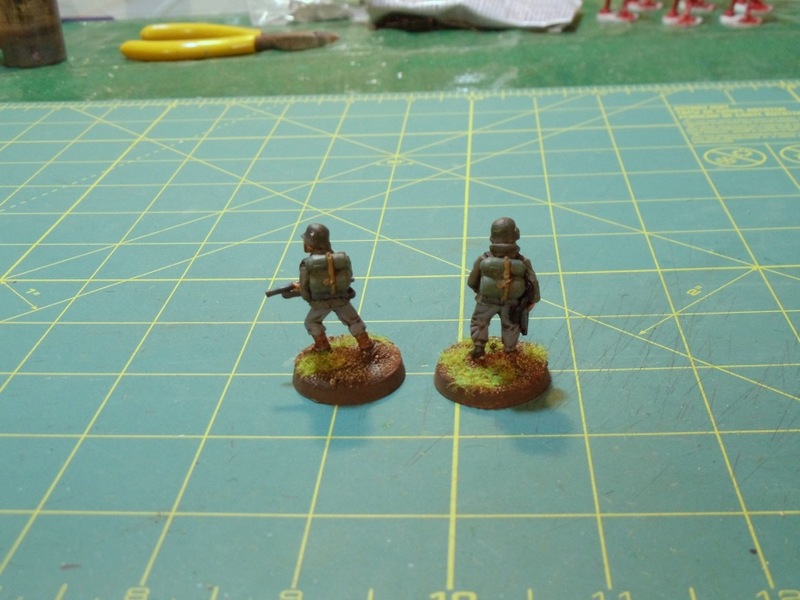 The next group is a set of metal figures from Wargames Foundry. 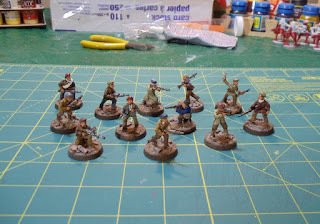 Not sure why I need so many officers, but oh well! 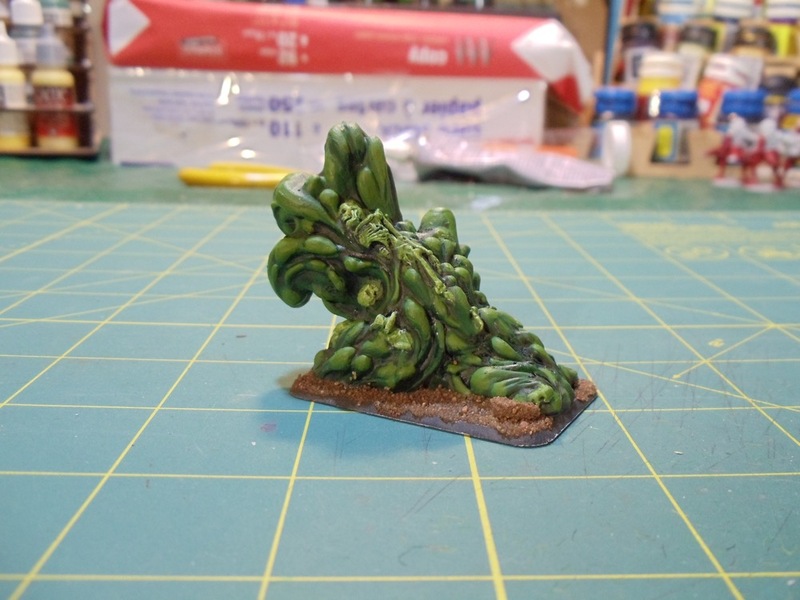 And finally is some ooze. 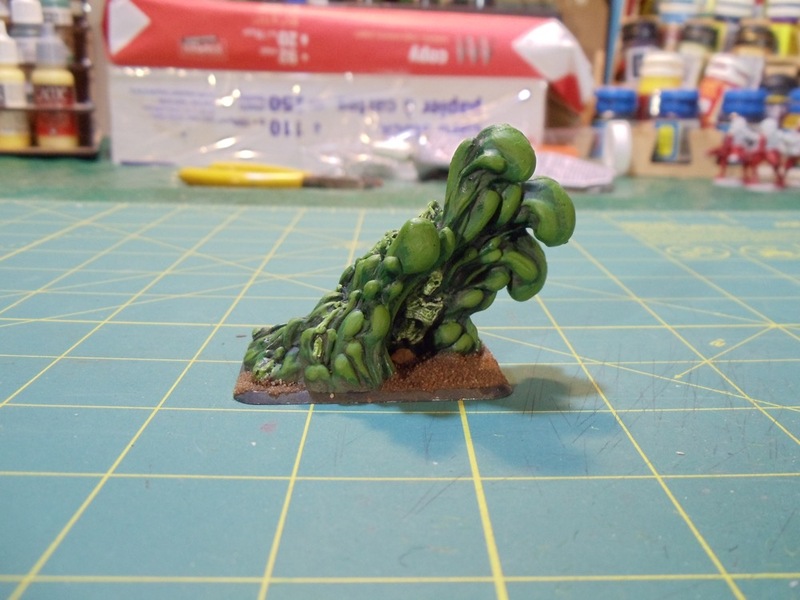 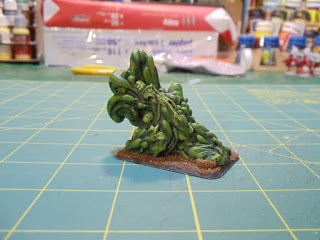 This fun figure is a metal figure from Reaper Miniatures and I plan to use it as sewer slime from the Frostgrave Into the Breeding Pits expansion. 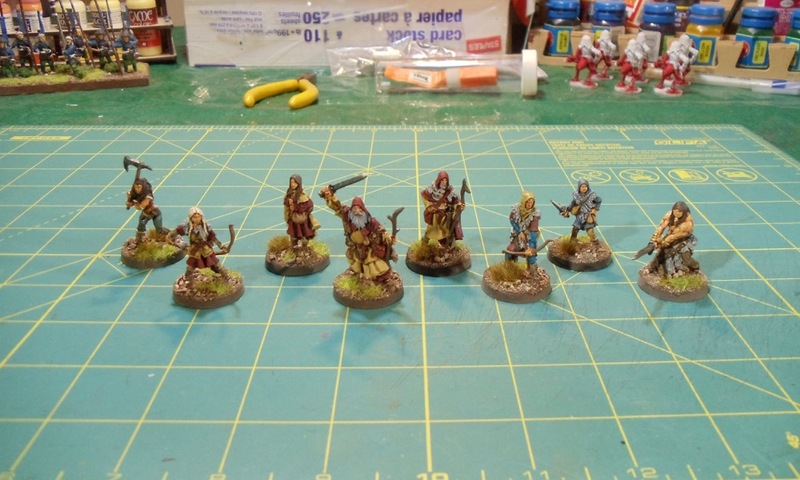 Next on my paint table is a bunch of Germans and some more character figures for Frostgrave.